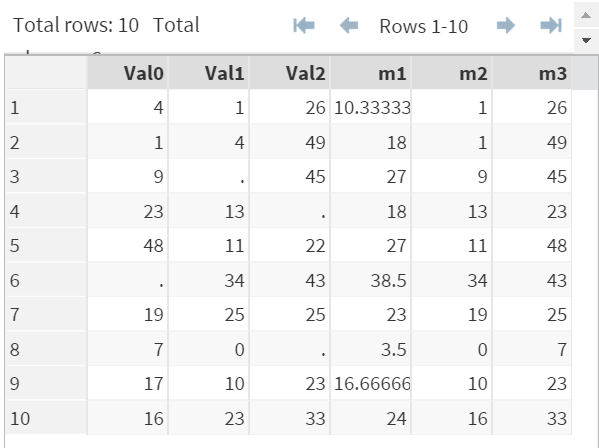 You can probably tell what these functions do in SAS! The MEAN, MIN and MAX functions allow you to compute the mean, minimum and maximum values from a set of variables, respectively. 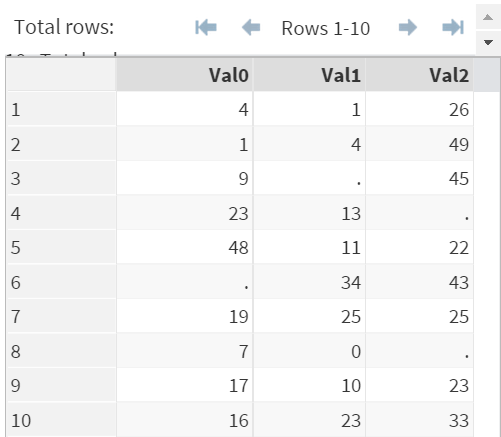 The NUMBERS data set above, again, contains 3 variables. Now, let's do some statistics computation. The variables M1, M2 and M3 are created. 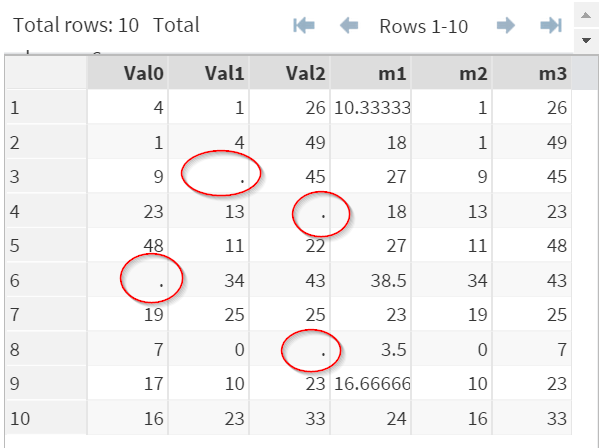 They contain the mean, minimum and maximum values from VAL1, VAL2 and VAL3, respectively. Note: missing values will not affect the results. The MEAN, MIN and MAX functions work despite the present of the missing values. Copy and run the EXAM data set from the yellow box below. 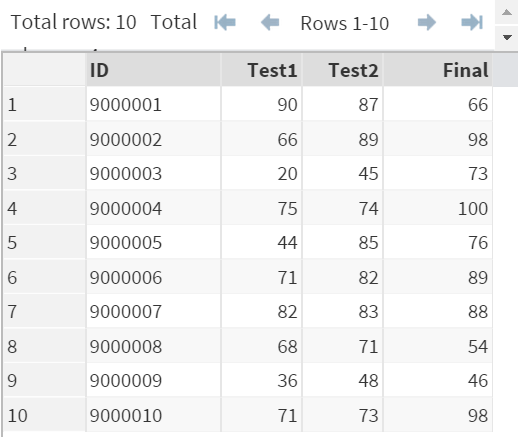 Write a SAS program to calculate the final score for each student. Create any data set or variables if necessary.